Pop Labyrinth | Your tears don't shake my world like Britney Spears. On a Saturday night in LA, only one day after their third and latest LP ‘Moth’ was officially unleashed onto the world, Chairlift performed an intimate show at Teragram Ballroom. The Brooklyn-based synth-pop duo of Caroline Polachek and Patrick Wimberly came on stage with the band at 10 PM to an adoring crowd. Two songs in, Caroline realized the synthesizer’s sound wasn’t audible, so Patrick bought some time with some classic technical-issue banter, noting this was their first show since the record came out. Once that got quickly sorted out, the band launched into a fan favorite, 2012’s ‘Something’ cut ‘Sidewalk Safari.’ Caroline cemented her status as one of the finest vocalists (and captivating performers) of our times, pulling off pitch-perfect vocal acrobatics with such ease. The new batch of songs really came alive with their disco-lite, retro-funk R&B vibes, especially ‘Moth To The Flame,’ ‘Ch-Ching’ and ‘Show U Off.’ However, a clear highlight was one of the quieter moments – the gossamer ballad ‘Crying In Public’ in which Caroline sang about having a breakdown on a subway car. The inclusion of their breakout hit ‘Bruises’ got the crowd to sing along, and it stuck out, showing how much Chairlift has grown musically and artistically since then. The energetic set lasted a little over an hour, and even though there was no encore, everyone was applauding so much that the band came out again to say thank you and said sorry they had no more songs. The setlist was culled from ‘Moth’ mainly, bar two oldies and one unreleased cut called ‘Get Real.’ It makes sense that they wanted to focus on showcasing the new materials live on this night, but I hope they will add more tracks from ‘Something’ for the spring North America headline tour. Check out the tour dates below, and grab your tickets! The music video premiered yesterday supports the argument that “Same Old Love” may be one the best things Selena has put her voice to. Directed by Michael Haussman (Britney Spears, Shakira, Justin Timberlake), the video follows the petite pop star on a rainy night out in LA. The treatment feels very ’90s (Madonna’s “Substitute for Love” springs to mind), as the moody visuals bring out the claustrophobic feel of the track. I suppose this whole post is just a long-winded way to justify liking this song, and yes, I’ve got my mind made up. Watch the sultry video below. Buy “Same Old Love” on iTunes. Just when you think there’s little left of the ’90s electronic music scene to mine, along comes Real Lies, a hotly-tipped London trio who manages to tap into a less-referenced part of the ’90s. Comparisons so far include Mike Skinner (The Streets), Pet Shop Boys, Underworld. Their poppiest single to date is “World Peace,” which sounds like ‘normcore’ Hurts meet Unicorn Kid (RIP). It’s amazing how it sounds so fresh, considering it was first released in 2013! It really feels like the band is on the cusp of something exciting. They make music that can appeal to both NME, tastemakers and pop bloggers; cool, but not at the expense of melodies. 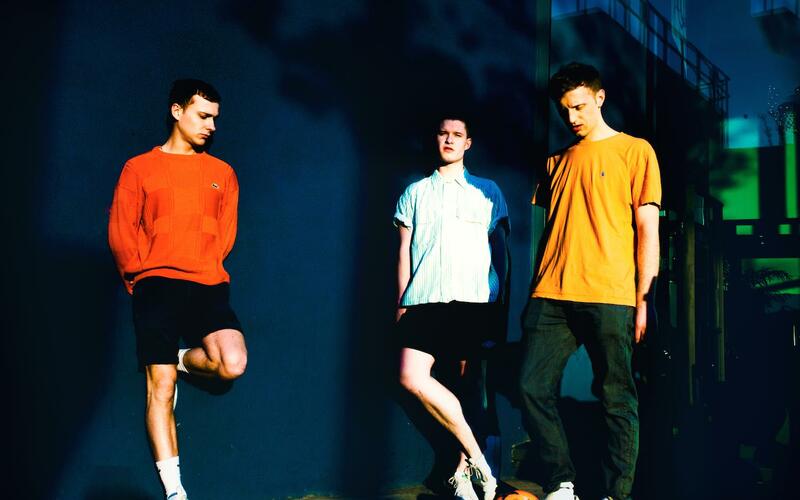 Real Lies are totally the type of band that can be key players in the next BBC Sound Of poll, but I don’t think we’ll have to wait that long for new music! Buy “Seven Sisters” on iTunes. Sound the listicle klaxon! Here are six things you can learn about Kiwi songstress Ruby Frost today. Ruby Frost is a very good pop star name, I’m sure you agree. Back in 2012 she released a nice single called “Water To Ice.” It sounded like Florence & The Machine meets The Naked & Famous ie. shouty & catchy electro-pop. She was on the judging panel of the first season of X Factor NZ along with Melanie Blatt of All Saints fame. Girl power! etc. 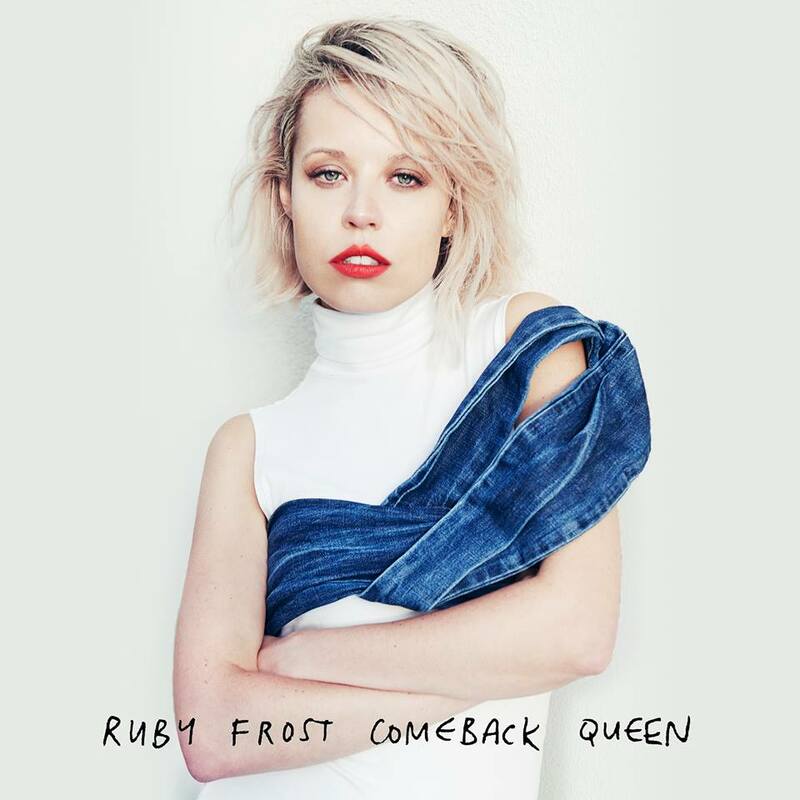 Frost’s back with a brand new single called “Comeback Queen,” a drum-and-bassy youth-pop number. It was co-produced by Harry Sommerdahl (Robyn, The Saturdays). “Hooked on love since 17, you could say I’m comeback queen” is a good pop lyric. This will sound especially good on the speakers of an H&M or Uniqlo. Have a listen below via the (naturally) ’90s-styled music video. Buy the single on iTunes (out in New Zealand only for now). 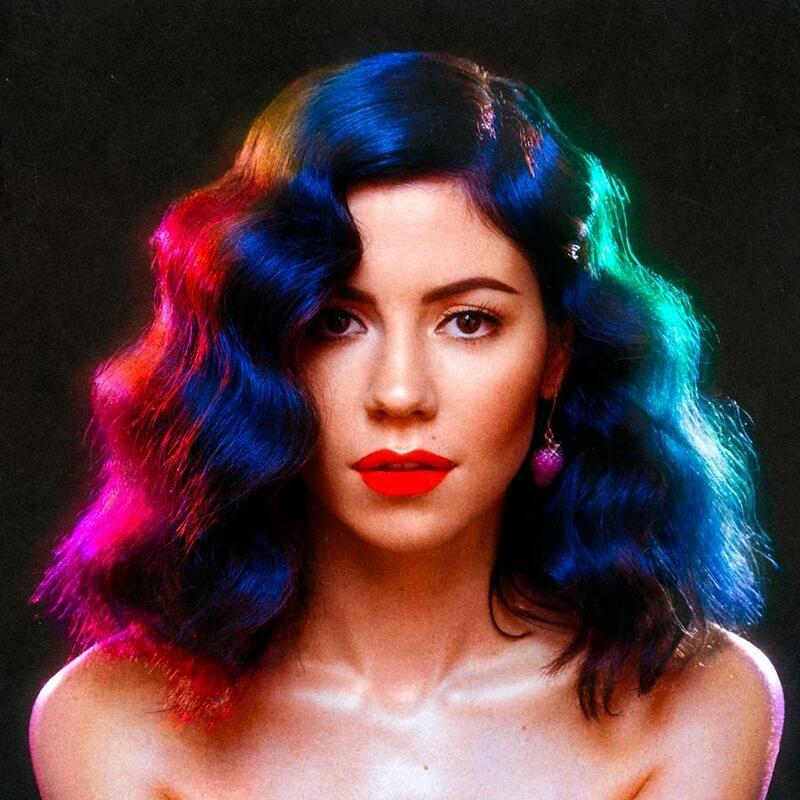 Pre-order “FROOT,” out in April 2015. Attention NYC! Have you got any plans for this Friday, July 25? 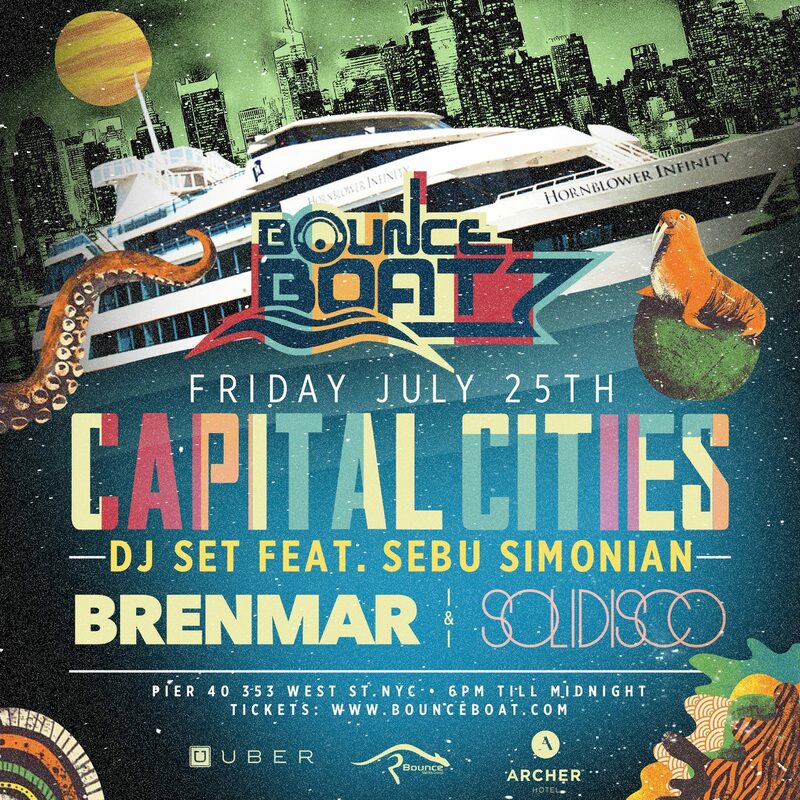 Lucky for you, the good people at Bounce Boat have kindly offered us a pair of FREE tickets to their latest event featuring DJ sets from Brenmar, Solidisco and Capital Cities. Capital Cities, of course, are responsible for their massive hit “Safe and Sound,” and have been touring with Katy Perry, playing at arenas for the last couple months. This giveaway is open to those living in or close to New York who can physically make it to the event (obviously). You can enter once every day. Earn up to 7 entries per day! Deadline is 3AM EST on 7/25. Keep in mind it’s a 21+ show. Boarding time is 7PM, departure is at 9PM. You want in? Click here to go the entry page and WIN. Best of luck! In the meantime, here are some tunes to get you pumped up. Whoever has been commissioning remixes for Lana Del Rey deserves accolades. They always take risks and reach out to less obvious acts. The results don’t always pay off but when they do, they do! The latest coup is to get the holy Four Tet to remix her brand new single “West Coast”. Something about the drums on this one reminds me of Björk’s “Human Behaviour”. Très cool. Ten Ven has their eyes on the disco ball, William Carl Jr uses new vocals not in the original mix, and Camo & Krooked dreams up a more leftfield spectral soundscape. Definitely an interesting batch of remixes so far (you just know there will be more). Buy ‘West Coast’ on iTunes. More on Lana Del Rey. 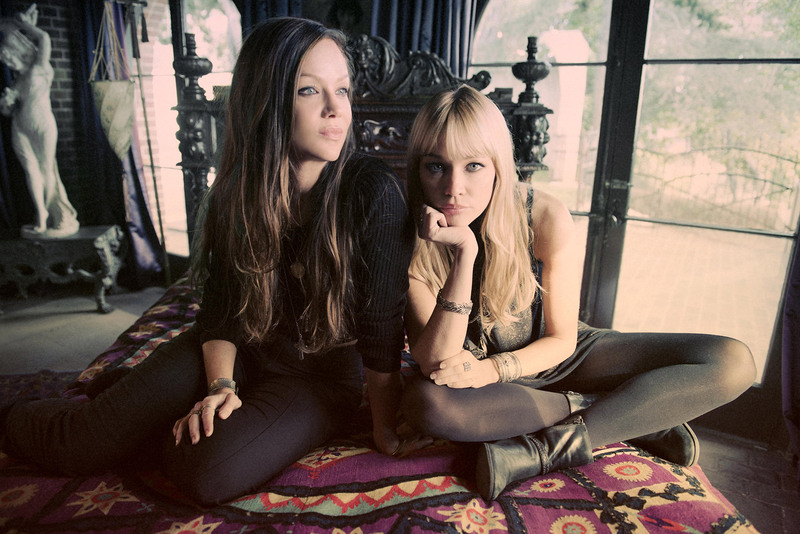 The Pierces have put their sisterly harmonizing powers to good use with a folked-up version of Lorde‘s commoner anthem “Team”. Absent are the glitches and pitch-shifted vocal samples, as the duo winds the song back four decades, when Fleetwood Mac reigned supreme. It’s a pretty acoustic cover that replaces teen angst with knowing wisdom. Check it out below. Pre-order their new album “Creation”, out May 30 in UK. Don’t be fooled by the title of Kimbra‘s new one. Yes, “90’s Music” does pay tribute to the ongoing ’90s nostalgia, shamelessly name-dropping Aaliyah, Nirvana, Mariah Carey, R. Kelly, Mary J. Blige and TLC all in the space of one verse. Sonically, it’s utterly bonkers. The future-funk production is courtesy of Kimbra herself and producer Rich Costey, and apparently Matt Bellamy (Muse) & Mark Foster (Foster The People) also snuck in on the track. On first listen it’s a madcap racket that sits comfortably alongside the output of alt-R&B greats like Erykah Badu, Little Dragon and Janelle Monae. Conveniently, Kimbra is having a joint Australian tour with Ms. Monae soon. She’s wack and she knows it. Current UK #1 single champion (and deservingly so) Kiesza is keeping the momentum going by dropping a cover of Haddaway‘s ’90s club classic “What Is Love”. Yes it’s a bit of an obvious choice, but also not what you probably expected (it’s done in an emotive piano ballad style). The Canadian singer gets to show off her vocal chops here, and the beautiful strings towards the end really class it up. Check out her pensive cover below, and watch the self-directed video via NME. And just for extra content engagement I’m gonna squeeze in two cool remixes of “Hideaway” by Gorgon City and Zac Samuel. You can buy “Hideway” on iTunes US now, so get to it!